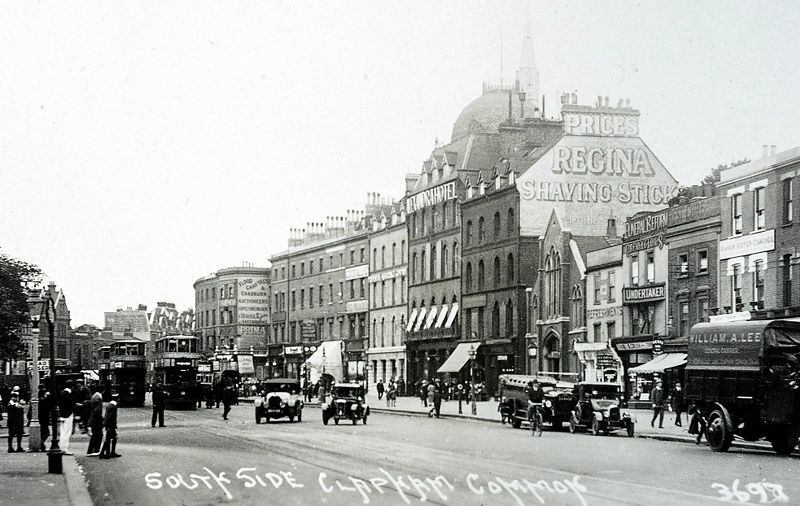 Later this year – on Sunday 30 September leaving at 10am and 2pm from Clapham North Station – Ghostsigns and the Clapham Society are getting together to do a one-off tour of the ghostsigns of Clapham (follow CS link to book). 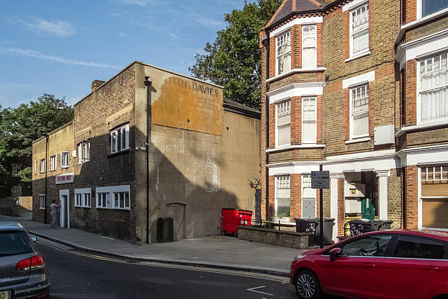 I’ve been helping them to prepare for this with some local research and by letting them use some of my photos. 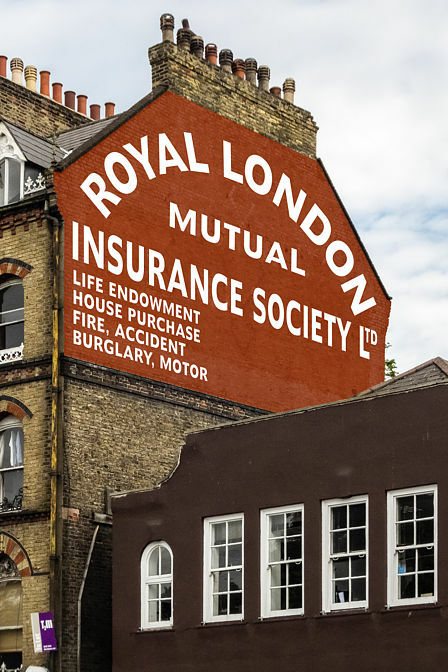 I’ve also been trying out some different techniques to reconstruct how the ghostsigns might have looked when they were new. 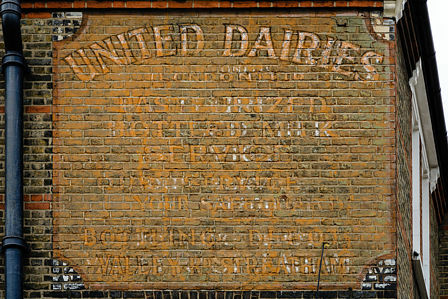 The United Dairies sign is at the junction of Landor Road and Hubert Grove. 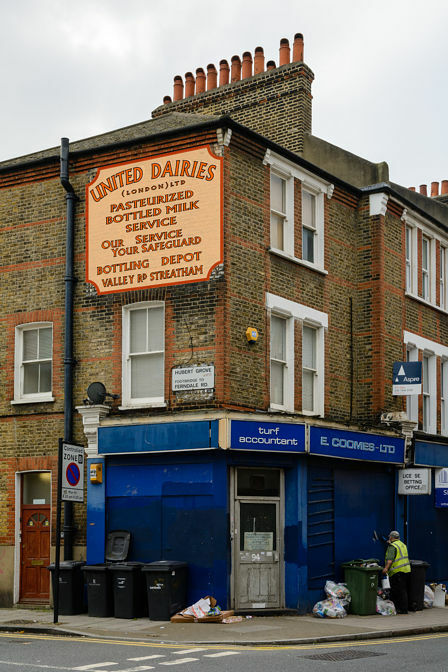 John Adams & Co, Dairy is listed in the 1914 Post Office street directory at the shop on the corner at 94 Landor Road. 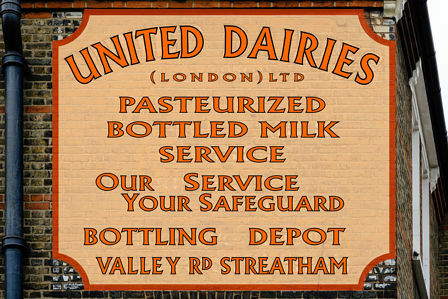 Before it was taken over by United Dairies, the bottling depot was owned by Curtis & Dumbrill Dairy who delivered both milk and mineral waters from the neighbouring Streatham Spa. Before this sign on Clapham Common South Side was painted for the Royal London Mutual it was a sign for Prices, Regina Shaving Stick. 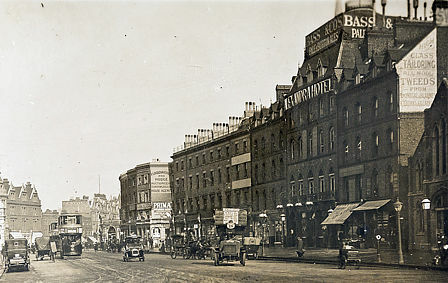 And before that it was a sign for High Class Tailoring, All Wool Tweeds, From Donegal, Blarney, Kilkenny and Killarney. The Viking logo is barely visible on the wall, but I could just make out the remains of a faint circle. 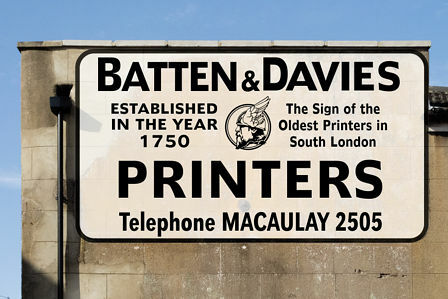 Luckily one of the members of the Clapham Society had a 1920s Clapham guidebook that contained an advert for Batten & Davies which included their sign. The Batten & Davies ghostsign can be seen in Bromell’s Road. 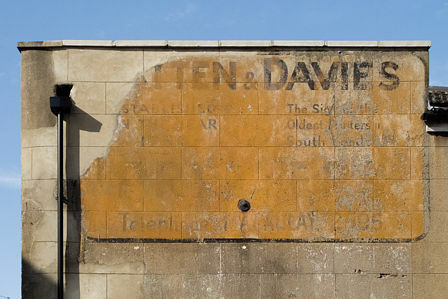 You can see my full collection of (unreconstructed) ghostsigns on Flickr. 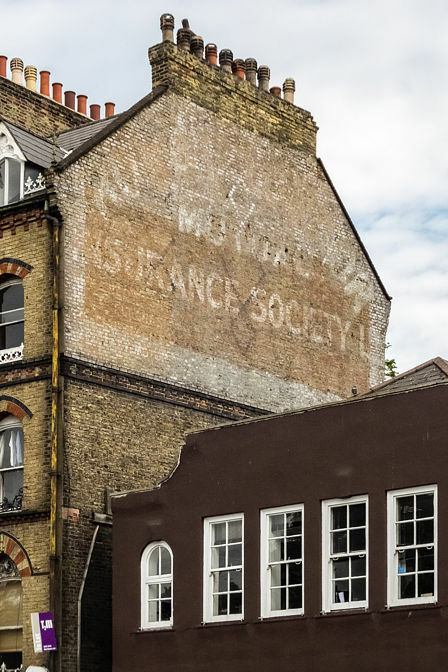 Edit 27/04/2018: Sam Roberts, who curates the Ghostsigns website has added an article to his blog that shows some more of my reconstructions. This entry was posted on Monday, March 26th, 2018 at 3:34 pm and is filed under Ghostsigns, History, Photography. You can follow any responses to this entry through the RSS 2.0 feed. Both comments and pings are currently closed.